Drs. 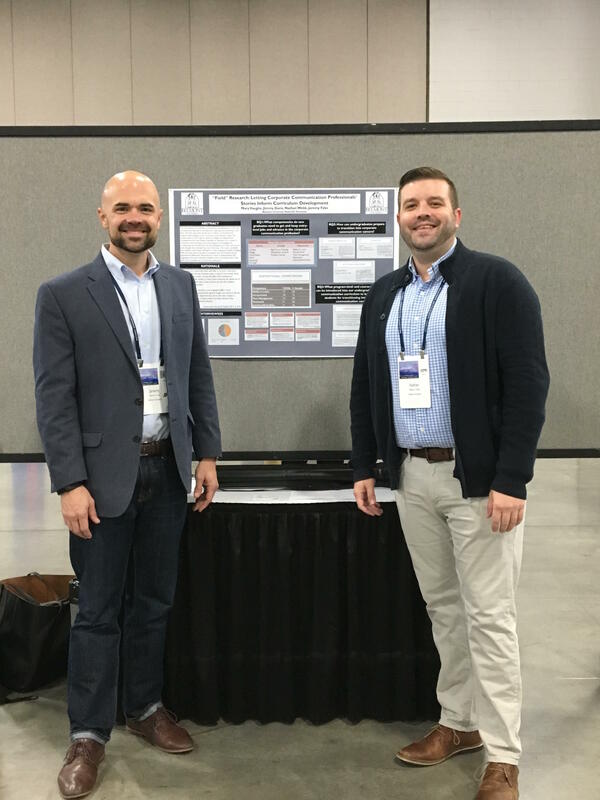 Jeremy Fyke and Nathan Webb, faculty in the Department of Communication Studies, recently presented at the National Communication Association annual convention in Salt Lake City, UT. Drs. Fyke and Webb co-presented a paper titled “’Field’ Research: Letting Corporate Communication Professionals’ Stories Inform Curriculum Development,” based on research conducted in collaboration with Drs. Mary Vaughn and Jimmy Davis, also of the Communication Studies Department.